I love etsy (it's like Betsy without the B)! I know I've said that before but seriously you can find some really cool unique and personal gifts on there. 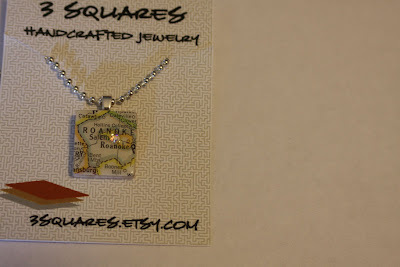 I found these map necklaces that I ordered for two seniors whose graduation parties we were invited to. 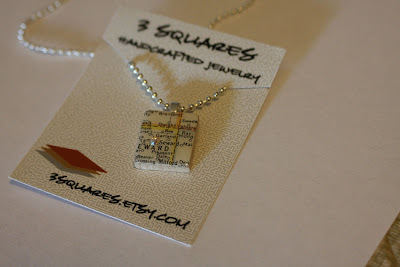 The maps are of the city that they are going to college in and they are on scrabble tiles! I know I could figure out how to make these myself but I don't have the time or the supplies so I paid Jean to make them...plus she did a really awesome job! Check out her store!! The girls who received these necklaces really liked them...and I liked giving them! Just thought I'd share!